Living the startup life … Life is a beach. A Mac, some wifi at the bar (or any other location of course) and you can end up working with the Pacific ocean as your office desk’s background. Assuming you can indeed sit down in some gorgeous place and work. I said work. Not pretend to work as some corporate workers might do. Life is a beach indeed. But that is not really the picture of startup life here. Real life still boasts a Mac, some acceptable wifi and … a twenty-hours day, coding or, at least, working in the shadow. Fight (not) in the shade. As much as coding in the shadows does make sense, doing business in the open does make even more. Whatever the business and whatever the product sold, startups need to get traction on market, hence visibility. And when looking back only at the startup ecosystem, skills, knowledge and advice will sure come from peers, from investors and/or advisors too. But value, in advising and mentoring does not come from experience only. Would it be the case, no country would be experiencing crisis at the moment … . Quality also comes from growing and fighting. Fighting our own knowledge and experience. There is always someone out there who has done the same thing but differently. More or less successfully but, hey, who cares. You are in for the learning part, not the who-has-the-biggest challenge. Have a chat with aliens and strangers. Well, I reckon it is not about going out in the street and ask that mother of three about her own path to success … . Hm, wait, maybe it would make sense in the end. Thinking out of the box does take roots in this kind of experience. Have a chat with a mum and find out how she created a secret recipe for handling logistics for her I-take-care-of-three-kids-and-my-job life. Trust me, take up that job for a week and running a dozen people, writing some code due for yesterday and coping with that ever-angry French customer will sound like walk in the sunny startup life park. Gold class networking : holidays. Back on track with the main point. Wherever your business drives you may not be far – or far enough – from the paths everybody walks. Startups tend to regroup and the cities feel like villages where everybody knows each other. Ever felt like coming across the same faces all the time at local startup events ? Then make use of every option available to get out there in the wild and see how others are doing it. Be it travelling to a conference (still very standard), attending some unknown uncle’s wedding in some sunny place, finally taking some holidays in this remote country you have been fancying for years. It is not about screwing up some relaxing time. But how troublesome would you reckon having sushi and sake, in a hidden Japanese street restaurant, on a warm spring night, may be ? Not the worst of holidays’ experience, actually happening when you meet with local tech media writers to have a (very nice) time and a chat about the startups in Tokyo and Japan. Collaborate. The somehow back-to-basics word. At a time when the sharing and collaborative economy is the thing, when social networks allow anybody to get in touch with any other body, it does seem that meeting people has never been harder. Love aside, networking in business is still not fully natural and managing to get in touch with people we target still remains linked either to some healthy address book or a lot of old-fashioned harassment. Yet, instead of asking some random website to match you with any advisor to a startup accelerator, just go human. Have a talk. Ask. Go discover this incubator and the people running it. Know what ? You may certainly end up meeting a lot more people in a couple of hours and catching extremely valuable insight than on any random startup dating site. Obvious of course. But who do you know outside your startup village ? In the end, go out and play! Startups sure are no game. But any startup well run still offers room for playing. Just go the extra mile by adding easy work to the partying and make the most of down time and holidays by meeting the right people. 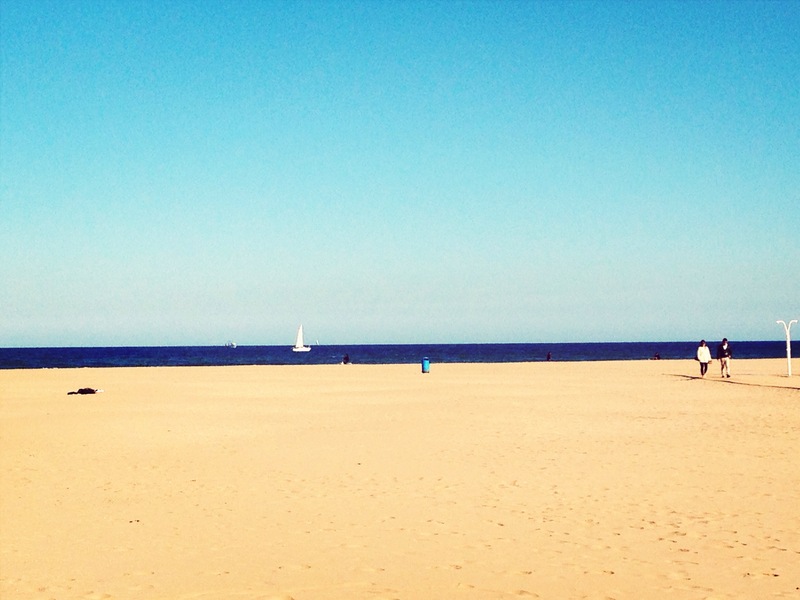 Startup life still is a beach … .